Today we’re releasing the newest version of Redbooth. 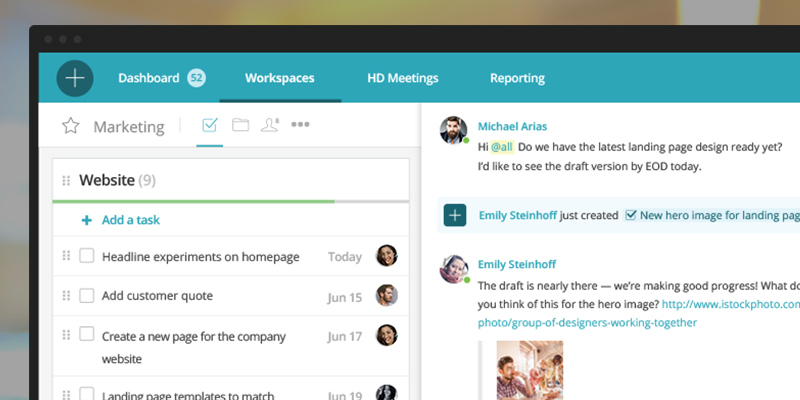 It’s loaded with new industry-first capabilities, new integrations, and a brand-new look. As Redbooth’s CEO, I can’t wait for people to get to try it out and discover a better way to work. It’s astounding to me: here we are in 2015, and people are still drowning in email. We recently sat down with a team of executives from a multi-billion-dollar company. They shared with us that they’re spread out all over the world, and they have thousands of unread email messages. And they don’t have the time — or the intent — to ever read them. So something’s clearly broken. And teams all over the world that are stuck in the same situation feel like they have no apparent solution, other than to ignore the problem and hope it will go away. Meanwhile, it just gets worse and worse. That seems to me to be universal. Whether you’re a small-to-medium business or a giant corporation, everyone shares the same problems: too much email, too many meetings, lots of business travel. I’ve noticed that it actually seems to be a bigger problem in larger companies — the bigger you get, the more compounded these issues are. With our latest release, Redbooth offers a refreshingly streamlined and comprehensive solution to the backlog and chaos that characterizes most modern work environments. Here are 5 ways that Redbooth is transforming how teams work. Your work may be complex. But deciding where you go to find, organize, and track your work should be incredibly simple. I like that Redbooth brings everything together and I no longer need to go check different systems. Everything is right there. The increase in clarity of thought and ability to focus on what you need to do is stunning. With our array of coordinated browser and mobile solutions, even if I’m away from my computer, I can access Redbooth. If I’m traveling on the road, if I’m flying high over the Atlantic, or if I’m even just taking a walk and get a message from a team member, I’m able to collaborate with my team. Nobody else is offering that in such a complete way in the market today. Yes, there are absolutely a lot of great tools out there. For example, people are really excited about chat solutions that enable you to talk. But talking is only a small fraction of what people need to do for work — and it doesn’t ensure that work is really getting done. One approach for dealing with that is to try piecing together multiple apps and tools. Of course, now you’re logging into 4 or 5 products, learning 4 or 5 products. You’re also paying for 4 or 5 products. Your team’s data is scattered across all of those environments. Research shows that just finding information (including searching for it in email) is a big part of people’s work week — sometimes consuming a staggering 30% of their time. With multiple tools, you never know where your teammates are. You never know where the information you need is, either. By bringing everything and everyone together in one place, Redbooth massively simplifies the logistics that go into work — so you can focus on work itself. Redbooth is about giving teams one place where they can pull in all of their team members, all of their content, all of their communications. That’s why we have team chat, direct messaging, and task-related comments. Adding voice is really the missing link that allows us to truly offer teams everything in one place. We also want to make sure that when team members put down the phone, they don’t reach for their email. 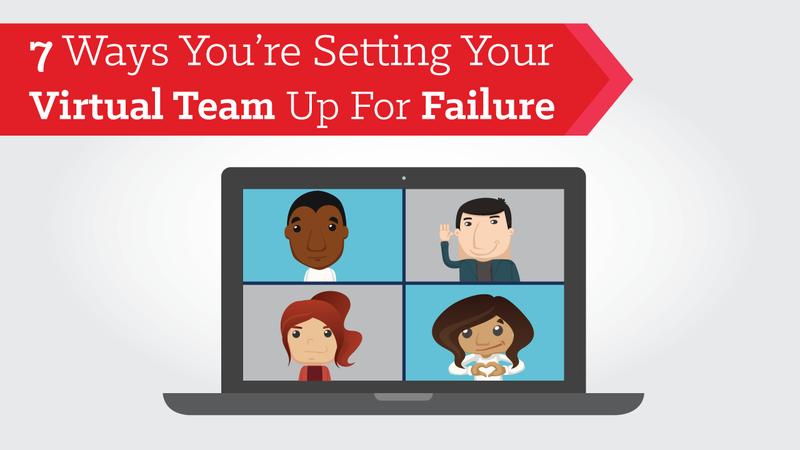 It’s a tool that has overstayed its welcome when it comes to team collaboration. The next great idea may be buried in email somewhere. And unless that was shared with everyone on the team — unless everyone on the team actually saw that email, and read it (keep in mind that the email is probably buried 15-deep in a discussion thread) — that idea is lost. Gone. There’s really no transparency inherent in email. So being able to surface the content and the information that a specific team needs so that all the team members are on the same page and can view it at the same time — that’ really important to team collaboration. In Redbooth, teams have workspaces where it’s easy to visualize what they’re working on and see who is doing what. For communications that are addressed to members of that workspace, this new infrastructure overcomes the problem of information that’s hidden in email that may not have been fully distributed to the team. So all of the different communication modalities that teams use — from chat to real-time voice — are now inside Redbooth and available to users. We’ve done something unique, and it’s an industry first. We’ve combined chat with the ability to manage, plan, and execute your work. We’ve done that in a way that conforms to the way that teams and groups work. They tend to talk and discuss work first. Then some action items come out of that, some components of a larger initiative. Then as that work gets done, its status needs to get communicated back to the team. Because we’ve integrated those components in our platform so tightly, you can do that all from within the chat stream. So the reason this is a first is that there are products out there that can do chat. There are products that can do task management or project management. But actually combining it all together so that it’s one experience, and seamlessly done from within the chat stream, so that when ideas come up they can be captured and not lost — that’s unique, and that’s what really changes the game for every team that’s now using Redbooth. 4. Finally — Collaboration and SharePoint Unite! All of the commonly used file-sync, file-sharing, and document collaboration technologies that have already been deployed and blessed by your IT organization are now integrated and can be folded into your Redbooth workspace. So you finally have this complete, rich environment where you can collaborate on any document, you can communicate in real time or however you choose, and you can do that anytime, anywhere. You can have the full experience. And that’s really what’s transformational, and so exciting about this new version of Redbooth. I’m very excited about our newest integrations with SharePoint Online and OneDrive for Business, for users of Microsoft Office365. The SharePoint end user experience today is one that’s, frankly, clunky at best. It’s not the most intuitive experience. Retrieving documents, uploading new documents — it’s not always user-friendly and can be a little bit awkward at times. And some organizations aren’t even on the latest and greatest version of SharePoint, so they have even fewer capabilities. What we’ve done is to give SharePoint users who want a simple, straightforward way of accessing content that sits inside SharePoint a way to do that. With one click, they can pull that content into a workspace, share it with their team members, and collaborate. We’ve given them a much simpler, more intuitive way to access that content — while still preserving all of the security, access controls, and policies that the IT organization has implemented for that SharePoint environment. Design matters. Not just because of how it looks, of course — but because of how it engages users and empowers them (or does the opposite). A lot of our customers are used to apps that are clunky, old, and not modern. So we tried to make Redbooth something that’s simple, intuitive, and easy to understand. We’ve made it a space that looks appealing — it’s a place you want to be. I’d even say it’s fun to work in. You go there, and your team is there, discussions are there. Things are happening in real time. It almost feels like a social destination, but one where people are actually working and getting things done, moving things forward. It’s so far from email. When you’re in your email inbox, you feel like you’re being reactive. Whereas in Redbooth, you get to be proactive. You’re connected, your team is there, and you know exactly who’s doing what. You’ll never get that sense from being in your email inbox. I’m thrilled to announce that this complete Redbooth experience is available today. I want to personally invite you to take it for a test drive. See what it’s like to chat with them and then create a task without having to leave the chat stream or lose your train of thought. Heck, take all of the tasks you’ve been meaning to get to, put them into Redbooth, and assign them to people on your team who have the bandwidth to get them done!